When Disney attempted to create a franchise to rival Star Wars did they pull it off? The film follows John Carter who is transported to Mars from Civil War America. Carter, played by Taylor Kitsch, finds himself a prisoner of a barbarian race and amidst a war controlled by dangerous magical guardians he falls for a princess and must choose sides. In some ways the film resembles Star Wars: the desert planet, open bodied ships hovering above the desert, a super fast bike chase and even a princess, but John Carter based on a series of books is a standalone entity and is conveyed convincingly. On one side, the character of John Carter, a disheartened war veteran and a man who is driven by anger and greed is an uninspiring one. However one important factor is his newfound ability: he can jump incredible distances. 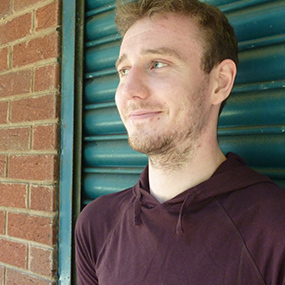 It’s these jumping powers which are a true strength to the film, especially his first steps. As for the princess, she is shown to be independent, strong, and a technological genius (she has discovered a new technology called Ninth Ray), while at the same time being infatuated by a man she has just met. This infatuation undermines the character somewhat but nevertheless she’s not the worst role model for children. The highlight of the film is the visual spectacle of the cities, creatures and confrontations, and most importantly John Carter’s new found powers of jumping and power of velocity. Unfortunately John Carter didn’t achieve at the box office so the proposed franchise won’t become a reality this time round. 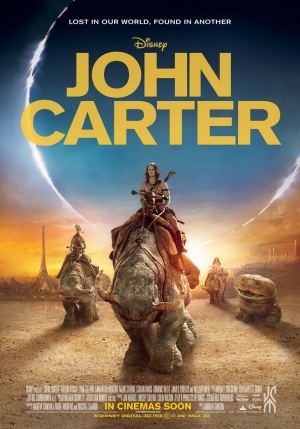 Perhaps the trailer alluding to a Star Wars copy-cat was the movies downfall as John Carter is well worth a watch for a younger audience and is an enjoyable blockbuster movie overall.